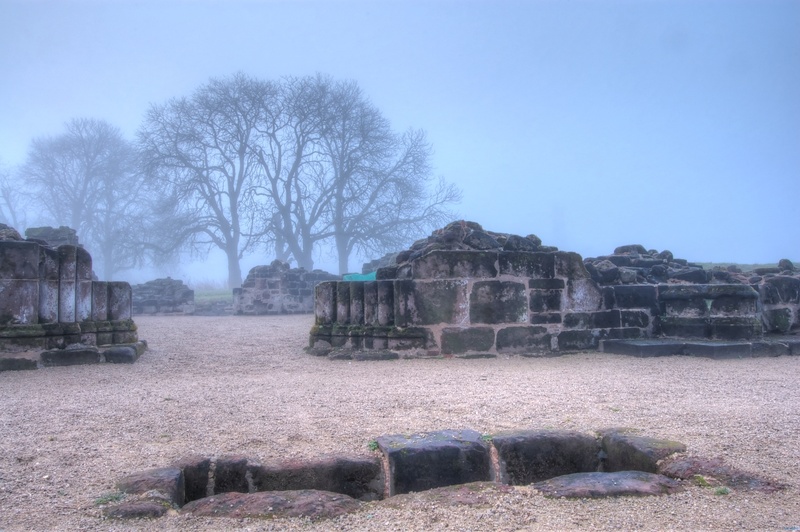 Another misty morning, with a stand of trees visible in the mist, taken from the choir of the ruins of Bordesley Abbey. Nearest camera is one of the stone lined graves, which would have been under a flagstone floor when the abbey was in use. The entrance way visible would have lead out to the cloisters.